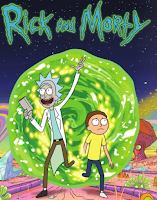 Described as a "longterm deal," albeit without any announced time frame, the order is for more than double the count of episodes Rick and Morty has already produced to date. Co-creators Justin Roiland and Dan Harmon have been especially precious about the comedy, spacing out seasons and waiting as long as two years before the most recent run aired. A Rick and Morty renewal was given, but the extent of this new pact is quite unexpected. Should Roiland and Harmon maintain anything close to their current production schedule, this will keep the show on the air for as long as another decade.